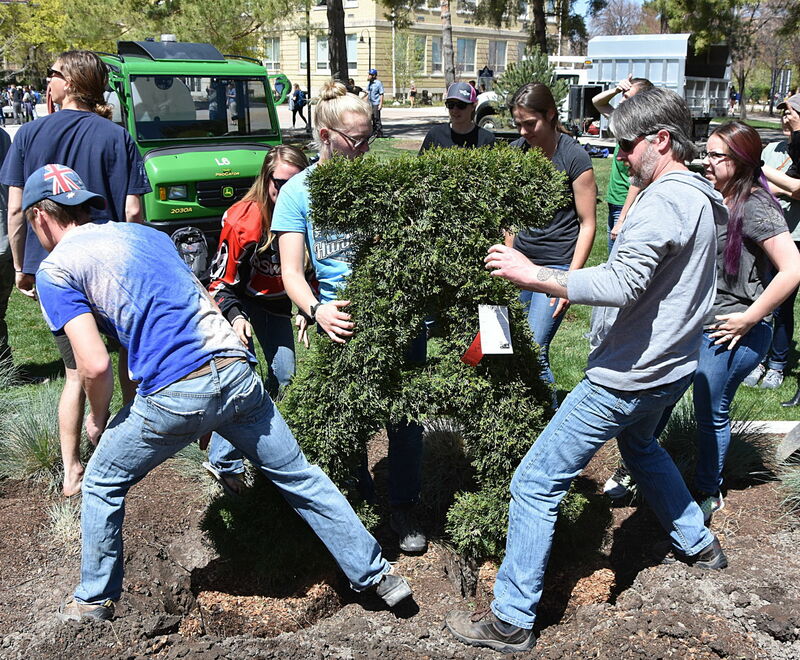 Utah State University has added another block “A” — in tree form — to its campus, thanks to the family of a survivor of a van crash years ago that took the lives of a professor and several students. Giving a child their own fluffy chick, duckling or bunny as an Easter gift might seem like a fun idea, but caring for these animals usually requires more work than people anticipate. Members of the Ag Tech Club routinely gain first-hand knowledge and experience with agricultural machinery in their classes. But they are currently working on restoring a donated tractor that is giving them technical experience and will support more learning opportunities for themselves and others. The devastating wildfires that occurred in Northern California in October hit home for Sarah Beard. Beard’s hometown of Healdsburg was surrounded by two deadly fires. She wanted to find a way to help her community, but the rigorous schedule of vet school and being over 12 hours away from home posed a unique challenge. Students and faculty from Utah State University’s Department of Landscape Architecture and Applied Science recently travelled to Los Angeles to attend the American Society of Landscape Architects Annual Meeting, where they won a school spirit competition for showing their Aggie pride. A team of students in Utah State University’s Department of Landscape Architecture and Environmental Planning created a plan to convert the Hinckley Ranch, located in Ogden Valley, into an ability center with facilities for equine therapy and community gatherings. Choosing to adopt an animal is a long-term, life-changing decision. But when faced with many possible pets, the excitement of the search and all the activity a shelter or an animal’s current home, how can you make sure you are bringing the right pet into your home? The Utah State University School of Veterinary Medicine, in conjunction with the Cache Veterinary Practitioners Association (CVPA) and the Utah Veterinary Medical Association (UVMA) is hosting Applicable Equine Dentistry with Nick Moore, DVM. A strategy for developing Utah water policy―that began with a task force appointed by Governor Gary Herbert in 2013 and grew to a group of more than 40 people with a wide array of expertise―was delivered to the governor Wednesday in hopes of guiding policy development to manage the state’s water until 2060. The next mega-droughts and subsequent active wildfire seasons for the western U.S. might be predictable a full year in advance. The new model, developed by an international team of scientists from the U.S., South Korea and U.K., and led by Utah State University climate scientist Yoshimitsu Chikamoto, was reported in the July 26 edition of Scientific Reports. With fireworks going off in Utah throughout the month of July, pets are bound to get stressed and anxious. Karl Hoopes and Allison Willoughby, faculty in the Utah State University School of Veterinary Medicine, shared tips to help owners keep their pets safe and make the summer more enjoyable for everyone. Summer is here and people are getting ready to hit the road on much-needed vacations. Pets are often considered to be part of the family, so it’s no surprise many people want to bring their furry friend with them during their travels. Faculty in Utah State University’s School of Veterinary Medicine, have some advice for pet owners when it comes to traveling with their animals during the summer. Five students from Utah State University recently used their soil science skills to take third place in the group division of the National Collegiate Soils Contest. Zach Voigtman, Sandra Udy, Boston Swan, Britney Allen and Thomas Greene travelled to Northern Illinois University in DeKalb, Illinois to compete and took third place against 24 other teams. Utah State University’s newly created Outdoor Product Design and Development (OPDD) program will host the Patagonia Worn Wear Tour on the Quad at the Logan campus, repairing apparel and gear, Wednesday, April 12. In addition, mountaineer and Patagonia Vice President, Rick Ridgeway, will speak about “What to Do, How to Live: Personal Activism for a Threatened Planet” at 3:30 p.m.
During the winter, cold air is at the base near the earth with warm air above it. As climate warming increases the temperature of the top layer, the cooler layer inhibits the warm air from releasing the pollutants through mixing. This causes inversion, meaning more aerosols are trapped in the cold air near the grounds. Mark Lee Koven, a faculty member in the Outdoor Product Design and Development program, has been chosen as the inaugural artist to participate in the first ARTSail voyage documenting the health of the reefs off the Florida Keys. Koven plans to collect footage for a 360-degree film experience about the challenges within Miami's natural environment. George Davis, professor at Virginia Tech, will speak about how people make choices regarding food for the College of Agriculture and Applied Science’s Dean Seminar on Friday, November 11 at 1:30 p.m. in the Agricultural Sciences Building room 101. The lecture, titled What are You Thinking? Cognitive Load and Neuroeconomics Insights for Improved Nutrition, is open to the public. Members of USU’s Agricultural Communicators of Tomorrow chapter (ACT) recently traveled to St. Louis, Missouri for the Ag Media Summit (AMS). This unique opportunity to meet industry professionals, attend workshops and connect with other students is part of the USU ACT chapters commitment to helping students develop the connections and skills needed within the Agricultural communications industry. The North American Colleges and Teachers of Agriculture (NACTA) recently honored Michael L. Pate with the NACTA Educator Award at the society’s annual conference in Honolulu, Hawaii. The award is presented to those whose efforts represent the very best in agricultural higher education. Benjamin George, assistant professor in Utah State University’s Department of Landscape Architecture and Environmental Planning, was recently honored for his creation of a digital landscape architecture library. 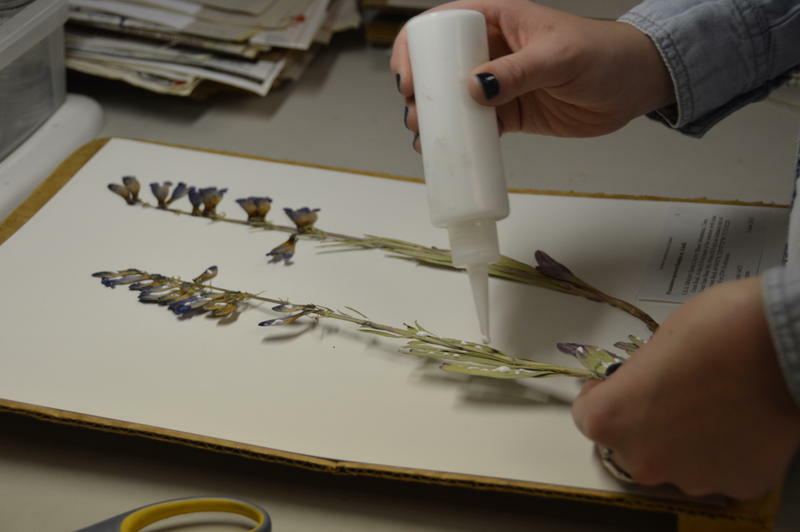 The tours contain immersive panoramas that showcase the unique beauty of gardens such as the Château de Villandry in France and the Villa Lante in Italy. Scientists at Utah State University’s Institute for Antiviral Research (IAR) are doing some of the first antiviral treatment trials in the United States aimed at identifying and testing compounds that may be effective in treating or preventing Zika virus infections. Kaylee Roholt, an advisor in the College of Agriculture and Applied Sciences, recently received the 2015 Outstanding New Advisor Award from the National Academic Advising Association. The award is presented to individuals who have demonstrated qualities associated with outstanding academic advising of students and who have served as an advisor for three years or less. The book and now major movie The Martian makes growing food in space, or more precisely, on Mars key to the hero’s survival. As sci-fi fans head to theaters to see how fictional astronaut Mark Watney figures out how to survive, Bugbee has been busy explaining some of the finer points of the science of growing plants in space to reporters and examining what the story gets right and where it’s more fiction than science.